A Global Injection Safety campaign was announced in Geneva on the 23rd and 24th February 2015, by DG — Dr Margaret Chan. 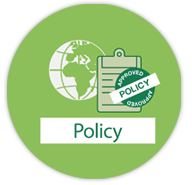 This policy will aim to reduce unnecessary injections worldwide and ensure that only AD (Auto Disable)/RUP (Reuse Prevention) syringes are used for the therapeutic (curative) sector. WHO preliminary Cost-Effectiveness analysis states by implementing a new global policy that for every $ invested an average of $14.57 could be saved, mainly from reduced costs in treatment from HIV, HBV and HCV. Policy Governments mandate the exclusive use of LifeSaver syringes thereby implementing the WHO global policy for safe curative injections. 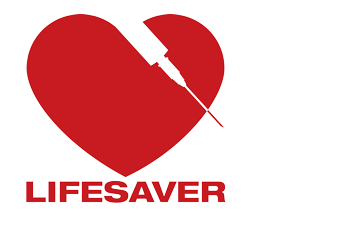 Funding International and in-country funders assist with the purchase of LifeSaver syringes while ensuring the creation of a sustainable and reliable supply chain. Manufacturers Ensuring sufficient supply of safety syringes by assisting and encouraging manufacturers to convert to only LifeSaver products. Ministries of Health Only purchasing & promoting LifeSaver syringes and implementing a scalable & sustainable safe injection training programme including sharps waste management. Healthcare Workers Ensuring healthcare workers have sufficient supply of LifeSaver products and incentivising their use so safe injection procedures are always followed. Public/Patients Raising public awareness of the importance of a safe injection each and every time. Results from a recently produced WHO cost effective study, are soon to be published. This 2014 report, statistically collated by a colleague Marc referred to the WHO, shows how considerable savings can be made through a reduction in infections, therefore less strain on public health & community resources and reduced inpatient stays. Marc and his good friend Nick English of the Bremont Watch Company are planning a unique five-week trip to highlight the issues surrounding healthcare in Southern Africa. Both adventurers are currently locked into talks with media companies and sponsors - more details of their flight route and sponsorship news soon. Marc's belief is that local production is the only way to go to scale and to ensure sustainability. By encouraging in-country investment, for all essential healthcare products, sourced and manufactured locally in converted factories with warehouses facilities, will maximise distribution and productivity. SafePoint is incredibly proud to have single-handedly rolled out one of the largest global health campaigns ever, reaching an audience of over 500 million people. This unprecedented awareness activity which kicked off in November 2008 in India included 14 press calls attended by 200 newspapers, nationwide radio broadcasts and short film screenings on television and in cinemas, and featured the moving story of Sachin, a little boy who contracted HIV through a re-used syringe. As a direct result of this campaign, the Indian Health Ministry made it mandatory for all government health facilities to use AD syringes from the 30th April 2009, and are set to introduce similar legislation for the private sector from April 2011. To ensure continuing momentum and build on the messages from the previous activity, another campaign will run in individual states in India from April 2012, based this time around undercover footage showing shocking, current syringe re-use in hospitals.